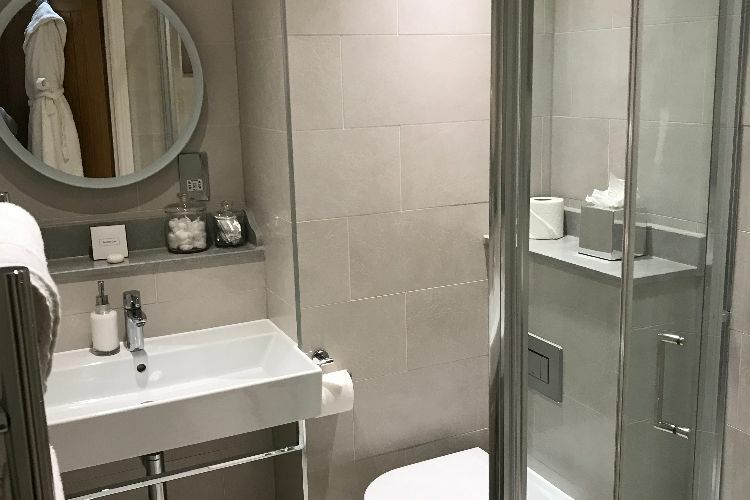 Could it get more luxurious than leaving your flat in Hove and staying the night just two miles down the road in Brighton? I think not, and yet it’s been on my wishlist for years now, perhaps I yearn for the feeling of seeing Brighton through a tourist’s eyes – all shiny and new and full of treats and promise. There’s certainly plenty of treats at the Harbour Hotel in Brighton. 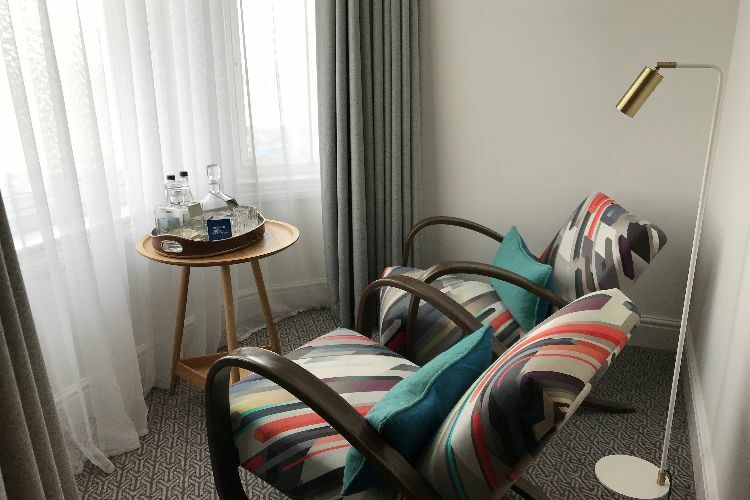 They specialise in showcasing the best of the city from the moment you step in the door (just moments from the seafront). 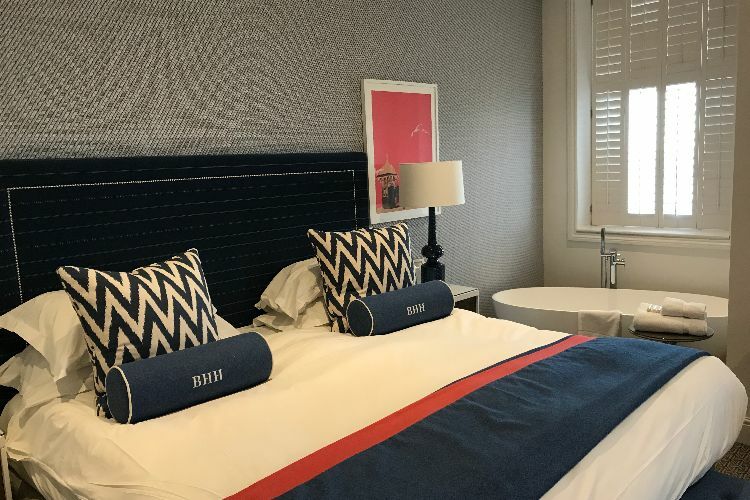 A subtle nautical theme flows from the hotel to the spa and also the bar and restaurant, no deckchair stripes and shells but more breezy light colours and panoramic views from the rooms. Upon arrival, we checked into our room and it was everything I’d hoped for. I hadn’t thought to hope for a bath in the room so that was a welcome bonus, but the super-king bed, freshly starched lined and sweet little viewpoint over the pier was really quite spectacular. We couldn’t go to the hotel without a trip to the spa, and I’d taken the liberty of booking myself and my partner Tom in for massages mid-afternoon. The spa is set in the old cellars of the building, with a cave-like atmospheric feel – leading from jacuzzi to sauna and so on. After our relaxing aromatherapy massages, we took ourselves back to the room (in our robes naturally) to relax before dinner. This was the perfect time to make the most of the little viewing nook, which was thoughtfully equipped with a generous decanter of both gin and sherry! We dressed for dinner and headed down for a pre-dinner cocktail to the HarBAR – a lovely wraparound feature in the large lounge/restaurant area. The cocktails were split out into handy sections, with house specials, classics and old favourites. We went for a couple of the house specials as the barmen were keen for us to try their signature shakes, me choosing ‘The Crush’ – a refreshing watermelon based cocktail with a kick of tequila and Tom the Bumblebee, which involved Mezcal and Briottet Banana Liqueur and nearly knocked him off his stool (in a good way!). 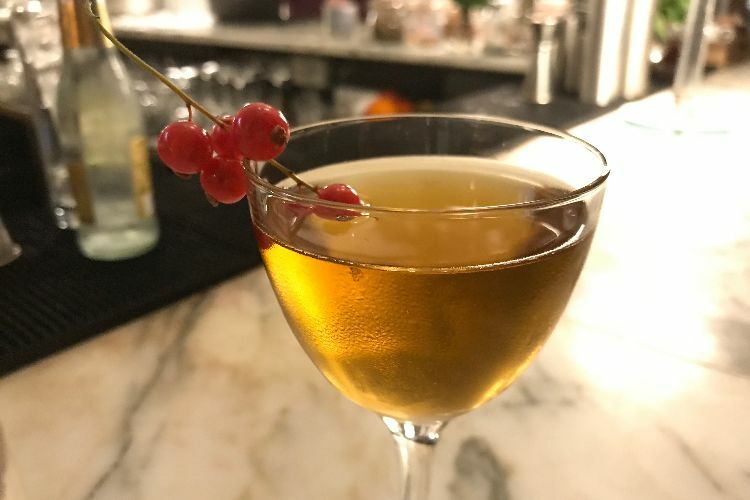 It’s been a while since I drank cocktails in Brighton, I tend to veer towards nice wine bars but this has certainly changed my mind. 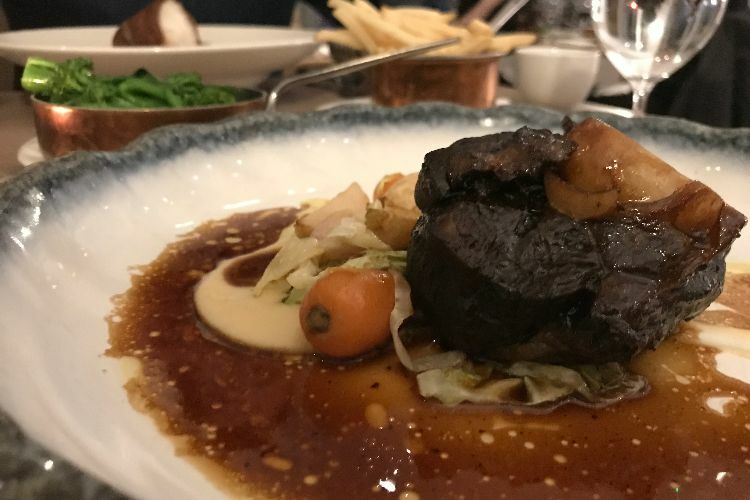 We both agreed that it was the perfect date night venue, classy and buzzy enough for a good atmosphere to be created but quiet enough that we could have a chat without shouting at each other, which in a venue this central is quite a rarity. 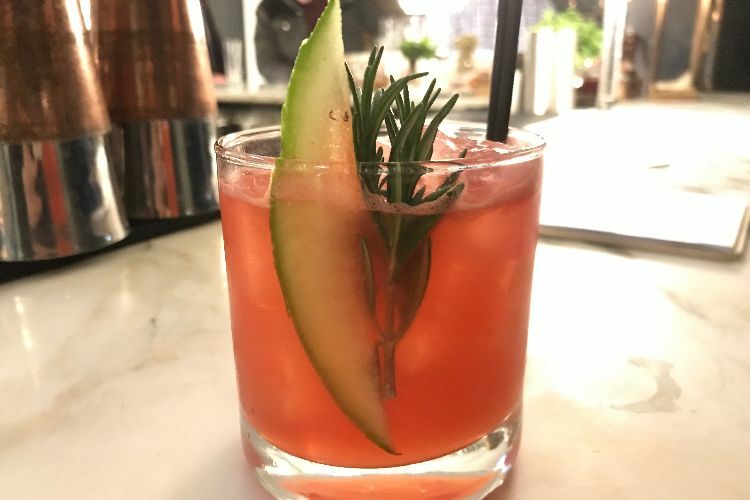 A ‘grown up’ drink if you will. All too soon it was time to drag ourselves from the bar and sit for dinner. By this point, we were happily tipsy, and looking forward to a good meal, with the benefit of knowing our trip home was just a short flight of stairs. 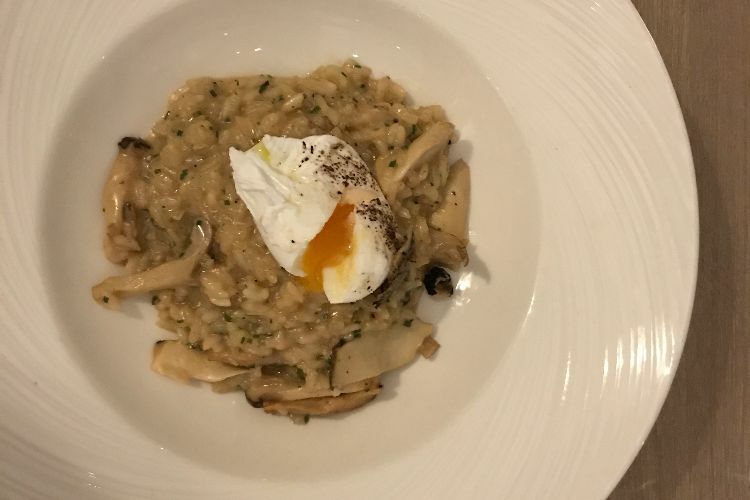 To start, I chose the wild mushroom risotto, which when it came could have easily been on the main course options, such was the size! I ate half and it was plenty, and of course, Tom polished off the rest. The hint of truffle oil and perfectly poached egg made the dish and I would definitely order again – but perhaps not for a starter. Tom enjoyed a lighter started of crab and avocado on toast. It was fresh and tasty with the pickled pear adding a delicious tang and the green fennel a kick of aniseed. Thumbs up to this one. My main of slow-cooked lamb with celeriac puree was winter personified. Rich, unctuous and warming, it was a hug on a plate. I chose a few sides to go with the dish, and we shared the tender stem broccoli and fries to mop up the delicious lamb jus. 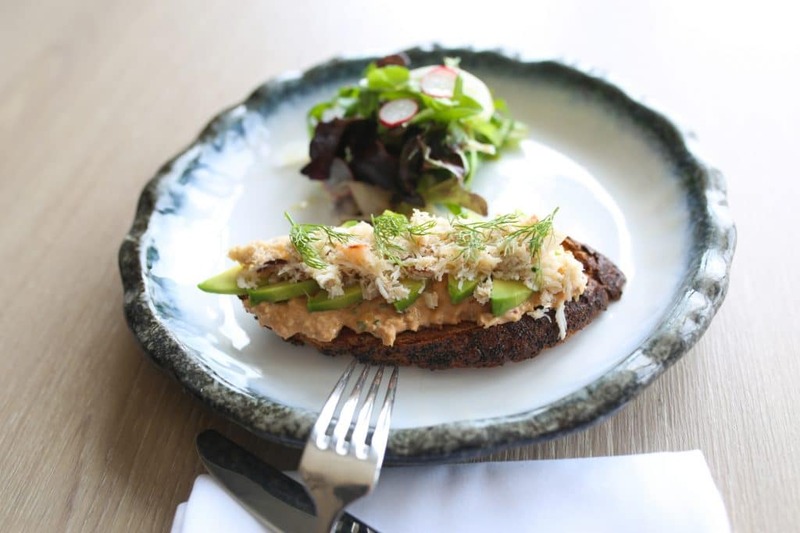 The star of the menu is surely the fish dishes, with much of the seafood being landed daily just a few miles away in Newhaven and Hove Lagoon. 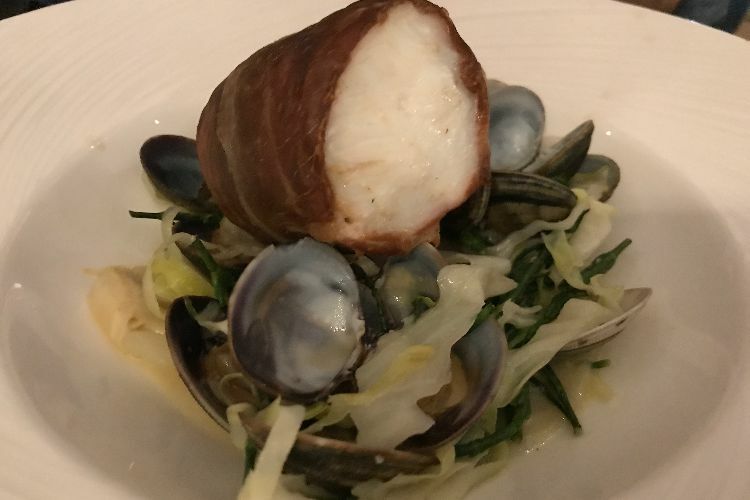 Tom’s hake fillet was chunky and perfectly flaky, the delicate flavours enhanced by the salty prosciutto encasing it. The shellfish marinere complemented the dish well. 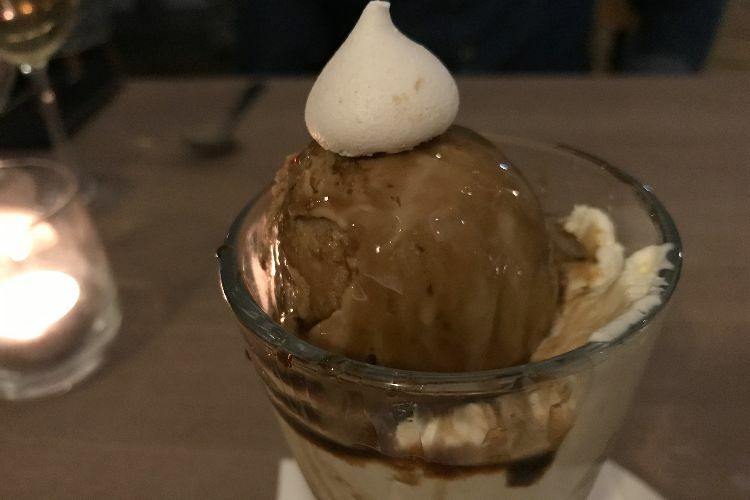 There was barely any room left for dessert, but temptation got the better of us and we shared a coffee ice-cream sundae, with decadent layers of cream, coffee liquer and meringue pieces. The espresso flavours were the perfect finish for our meal and we fought spoons for the last bite before languidly heading upstairs for the best sleep I’ve had in months. Things I have learnt from my stay at the Harbour Hotel. There is nothing better than a romantic night away to banish the January blues. 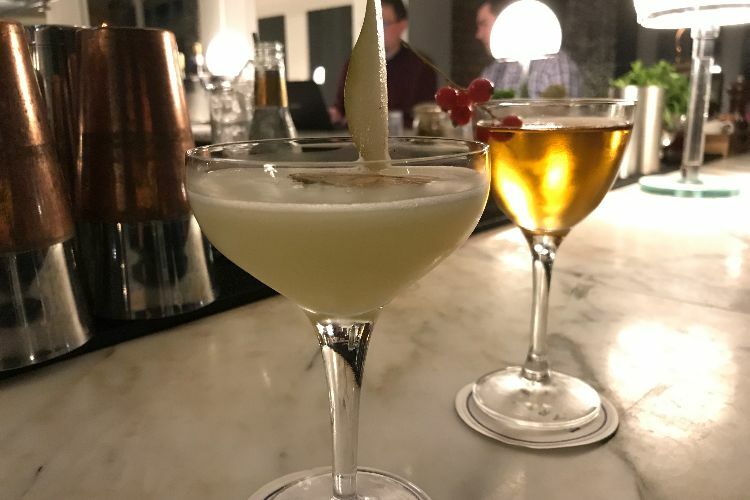 My love for cocktails (and this city) has been reignited. When eating a 3-course meal, one should always have their king-sized bed just steps away. Sometimes a little luxury is good for the soul, even if your location is your hometown. I’m still jealous of newbies to Brighton, but I enjoyed the chance to pretend I was a tourist and I certainly saw the view through new eyes. The Harbour Hotel does some amazing packages, including afternoon tea, spa days and meals, take a look at what’s available on the website.